A Manco innovative automation solution makes the foods you produce taste even better and at the least cost. How? 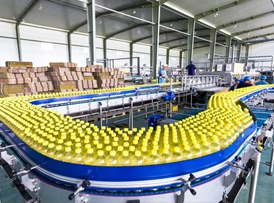 Through tightly controlled process automation systems that optimize the quality of the final product, optimize your mix of ingredients, and reduce your total energy consumption. From beer to cereals, granola bars, donuts, breads, oils, cheese, milk, pork and hamburgers, Manco’s process control expertise has touched a wide range of food and beverage products that are shipped worldwide and served on your customers’ plates. The professionals at Manco go the extra mile to understand the processes at your plant – the very processes that make the difference between a consumer choosing your product over your competitors’. We will not rest until we know we have gained every ounce of performance from your processing equipment. Our customers can take comfort in knowing that Manco is experienced working on projects in facilities governed by CFIA/USDA/HACCP standards. Enlist Manco on your next food and beverage automation strategy and taste the difference we can make.